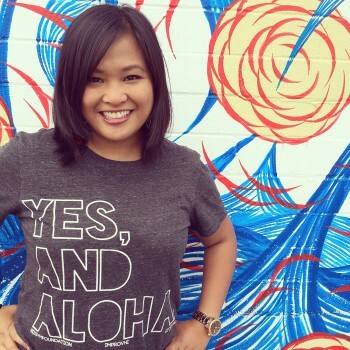 I first met Kimee Balmilero a few years ago at the HIFF Creative Lab New Media Camp. At the time, I was a mentor and she was a participant. Little did I know, she could’ve taught ME a thing or two. If you’re on Kimee’s LinkedIn page, be prepared to scroll. She’s performed on Broadway in the original Broadway cast of “Mama Mia.” She starred in the Emmy nominated “HI-5,” which led to performances on the Today Show and the Macy’s Thanksgiving Day Parade. She’s founded improvhi, created StoryU Arts and even has a doll made in her likeness. 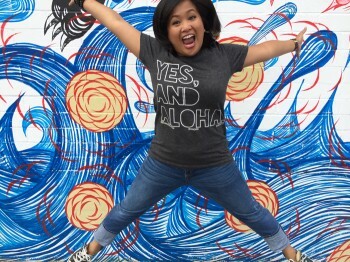 But it was her experience at the Upright Citizens Brigade (founded by Amy Poehler) that inspired her to create the first ever Hawaii Sketch Comedy Festival, opening at the Doris Duke Theatre on March 28 and 29. I got to chat with Kimee about performing on Broadway, comedy nerdery and her perfect mixed tape. When did your passion for comedy and performing start? I think it started from watching all those late-night talk shows when I was little. I loved watching Johnny Carson and David Letterman and I always stayed up to watch “Saturday Night Live.” I was also a little obsessed with the movie “Airplane.” I’m an only child, so I was pretty much a ham all my life since I had to “fight” for my Grandma’s attention with nine other cousins. Not many people can say they’ve performed on Broadway. What was that experience like? Amazing. One of the best experiences I’ve ever had. It was such a dream to be on Broadway and to be part of an original cast was something I never imagined could happen. I enjoyed the entire experience from rehearsals to performing on the Tonys. That show and cast are very special to me. We were still in rehearsals when 9-11 happened, so we really came together not just as cast members, but as New Yorkers. I remember the night Colin Powell came to see our show that fall. Apparently, he’s a huge ABBA fan. I started crying during our finale because you could see him in the audience dancing and singing along. It was at that moment that I realized that what we weren’t just doing a silly little musical, it was an escape for the city. I was proud to be a part of that. What made you move back to Hawaii? Why did you start the Hawaii Sketch Comedy Festival? 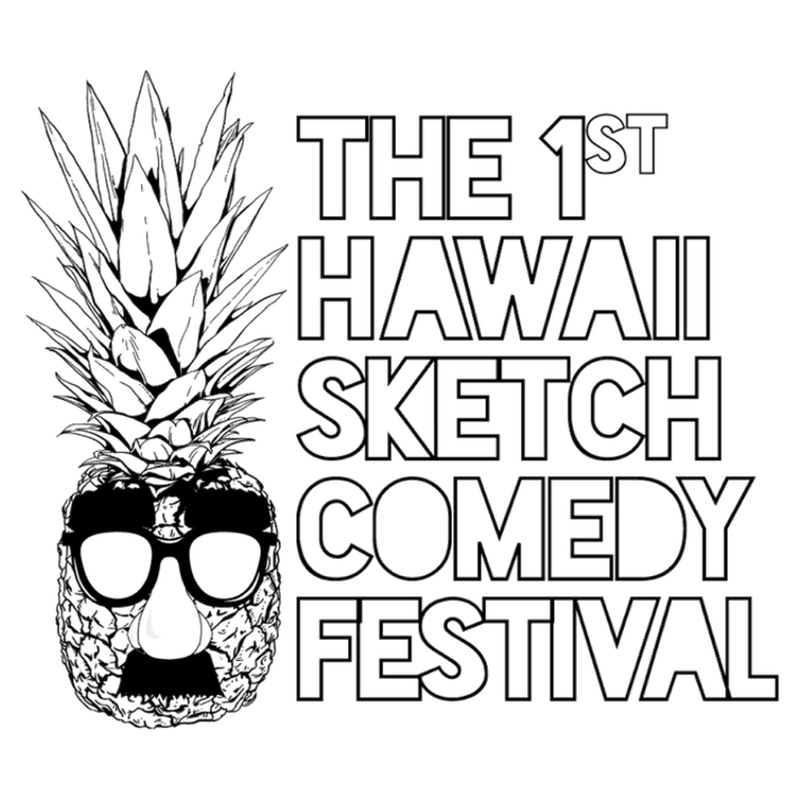 Doing a sketch comedy festival here in Hawaii is something that I’ve thought about for years. When we started doing “The Scratch Paper Sketch Comedy Show” through improvhi, that’s when I saw that there was a definite want for something like this. What are some of the can’t-miss events at this year’s festival? Let’s say I have a “friend” who always wanted to try improv but is too terrified to try. What would you say to my “friend” to convince me — I mean him — to take a class? I’d say, “F*C*ING DO IT!” You’ll always be a little terrified of it since you’re making things up on the spot, but that’s why we love it! I would also tell him to let go of the pressure to be funny all the time. That’s where people get really messed up. What’s on your Netflix cue? I actually just watched a documentary last night called “That Guy… Who Was In That Thing” and thought it was FANTASTIC! Definitely a must see for all local actors. 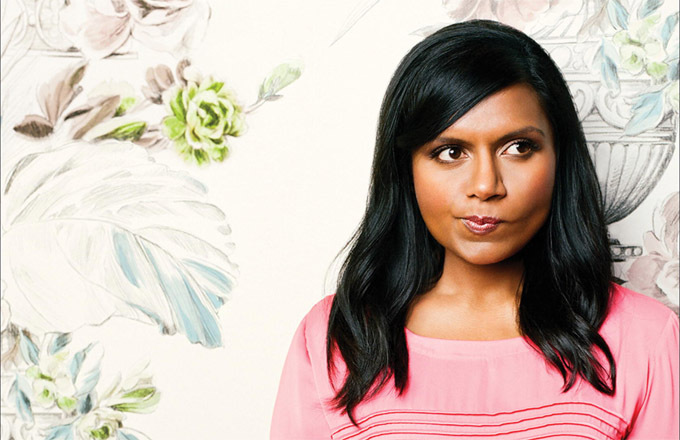 Mindy Kaling! I LOVE HER! What would be on your perfect mix tape? What’s the best piece of advice you got in all of your years of performing. “Give them something to say ‘Yes’ to.” I think actors, comedians and creatives put so much pressure on themselves to be perfect. Especially in the audition room. A good thing to remember is that they (the casting director, producers, etc.) want you to be “the one” so they can call it a day. They don’t want to go through 100 more auditions. Step into the room, be yourself and do good work. That’s all you can do. 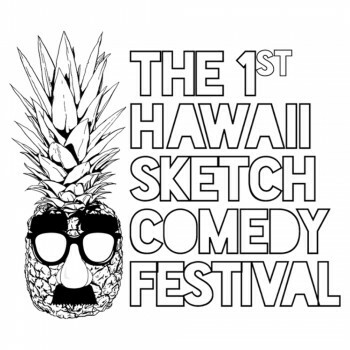 The 1st Hawaii Sketch Comedy Festival happens on March 28th and 29th at the Honolulu Museum of Art’s Doris Duke Theatre. Comedy workshops run from March 25th through 29th. To see the full schedule, visit hisketchfest.com.